Zulmarie is using Smore newsletters to spread the word online. 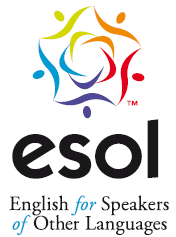 In this page, you will found what's happening in each of my ESOL groups. Each reading group reads between 2-6 books weekly (depending on how many times a week I serve them). In all my groups, we are learning about the importance of organizing our thoughts before we write (graphic organizers, lists, quick phrases, etc). Once we have done that, we can start writing and think about words that will describe better our thoughts and are age/grade appropriate (Words that make your writing Pop! Bulletin Board). *This week news are very similar to last week's because of ACT Aspire testing. We will continue working with the same skills and if time allow us to continue moving forward I will update this newsletter. 5/4: 3rd, 4th and 5th Grade as well as Resource Teachers and ESOL will meet in the conference room during planning for EVAAS (Educator Value Added Assessment System) See below for more details. 5/7 - 5/8: 4th grade PASS testing. Please do not send students to my classroom during these days. I will resume services after finishing with testing. -What are some things that Orson, the good dog, did? -Shared writing: Why do you think the Rabbit decided to trick the Coyote? -Compose 2 or 3 sentences about what you learned about plants that eat bugs. -Why do you think the bunnies went running to different places? -Have you ever felt like Lola, being too tall or too short to do something you would like to do? -Use words to make your writing Pop! -Shared Writing: Write the 3 ideas that the writer had and explain why or why not the editor liked it or not. -Words that make your writing Pop! -Interactive: Compose a few sentences to summarize the story. -Shared writing: Think about the important information in the story. Write a summary of the story from Amy's point of view, using the first person, "I". -Complete writing about saving endangered animals. -If your best friend invites you to go in a scary house or ride (roller coaster) and you are not convinced to go with him/her, what would you do or tell him/her? Would you go if one of your parents will go with you? Tell me what would make you go and not be scared? -Use words that make your writing Pop! If you have any questions or concerns, please send me an email or leave me a note in my box. I will reply and/or come to talk to you as soon as I can. 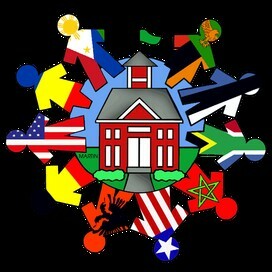 I want to thank everyone for the great work you are doing to continue support my students. It's making a difference! !